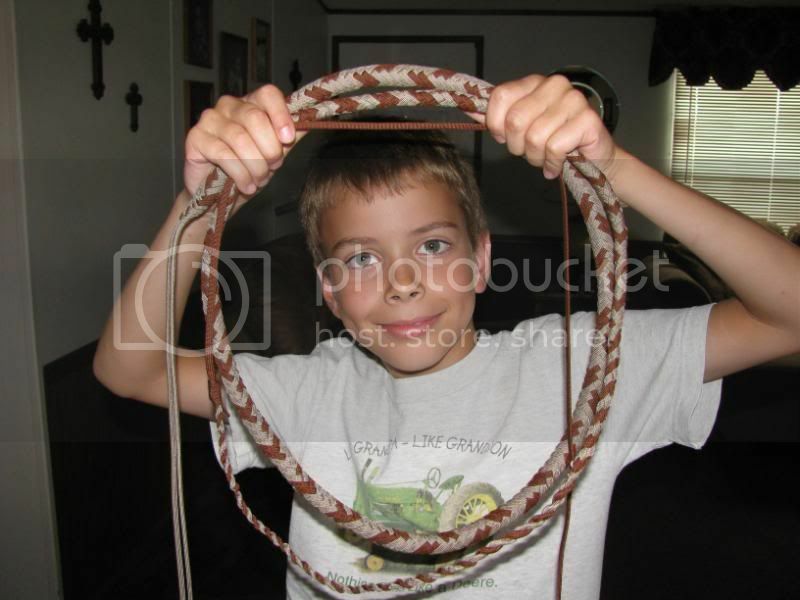 This week was awesome for me as a whipmaker and a father because my firstborn son finished plaiting his first whip! He made a 12 plait, 6ft tan and chocolate Florida cow whip. People are often impressed with the fact that I learned to make whips as a teenager, but Cordell is only 9 years old; beating my starting age by about 5 years. Congratulations Cordell. You’ve made your father very proud! This entry was posted on Friday, July 10th, 2009 at 10:00 am	and posted in Cow Whips, family, nylon whips, whip makers. You can follow any responses to this entry through the RSS 2.0 feed.